Brighton Cafe: Labour: The Party of Middle Class Hampstead Not Working Class Hull? Older working class voters and the poor were strong Leave voters as we can see below. A Political Realignment Around Brexit? The latest YouGov poll of Labour Party members found that fully 90% of them would vote Remain in a new referendum. This aligns closely to the 92% of middle class liberals that voted Remain in the original referendum. It is these Labour members that are seeking to bind the Party to a second referendum. It seems possible that in a new election Labour will be the party of Remain and the Conservatives the party of Brexit. Will this create a new alignment in U.K. politics, where increasingly the working class voters align with the Conservatives and middle class voters align with Labour? There is some evidence this has been happening already. Labour holds 57 of the 63 most working class seats in the UK, but these seats have seen a swing to the Conservatives of 3.6 percentage points since 2005. 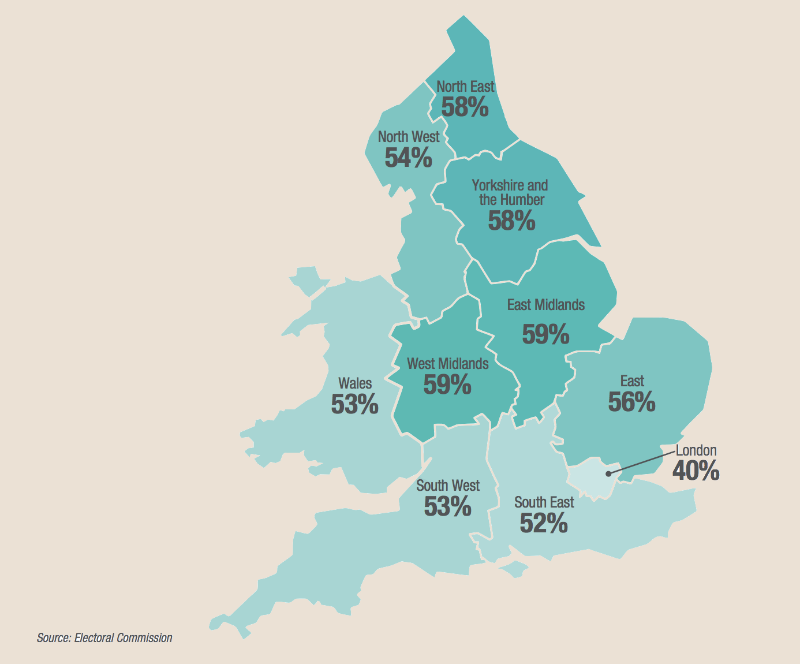 In areas like Hull Labour has very large parliamentary majorities but in areas such as Wakefield, Dudley and Bishop Auckland they are vulnerable to relatively small swings to the Conservatives. The Leave vote by region, as shown below, shows a marked difference between London and the Midlands and North East. 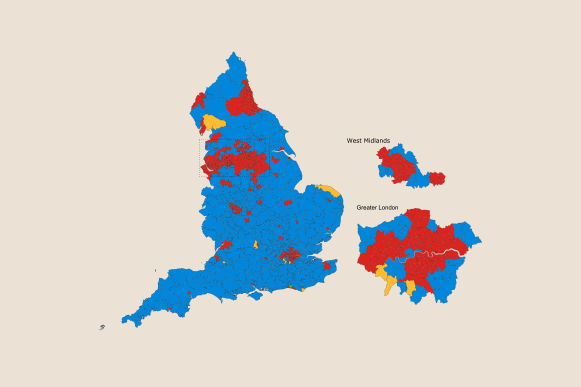 The real question is whether a potential realignment will affect the current UK electoral map, as shown below, with Labour losing seats in the Midlands and North East but gaining in younger, urban, metropolitan areas.